To spend Lent as a honeymoon might seem to be a contradiction in terms. Yet these forty days call us to a renewal of our romance with God. Jesus journeyed through life as a hobo, as one with "nowhere to lay his head." Lent, likewise, calls us to be hobos, to be like HOmeward BOund Civil War veterans, working their way back to their loved ones. That contraction (Ho-Bo) reminds us that we too are homeward bound pilgrims in this life—ho-bos who cannot rest until we rest in God, our final destination. Hoboes have secret signs, which they write on barns and fences as coded messages to their hobo companions. A Lenten Hobo Honeymoon is filled with these hobo markings, which help point the reader along the path of a fruitful Lent, all the way to a joyous Easter. 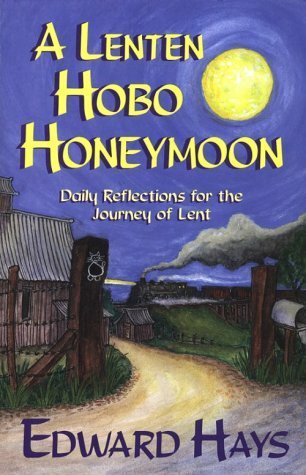 With insight, art and a touch of humor, Edward Hays guides us along a Lenten way that takes no shortcuts or easy ways out while at the same time making the way a honeymoon, a joy-filled journey with God homeward to God.